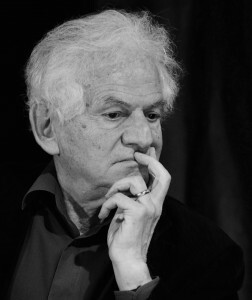 Egon Gál is a philosopher. A Slovak Technical University chemistry graduate, he switched to philosophy after 1989 and has taught in various departments of Bratislava’s Comenius University. Until 2005, he was the director of the university‘s Institute of Judaic Studies and is currently the chairman of the Jewish community in Bratislava. He used to be the editor of Kritika & Kontext and has also edited several philosophical anthologies, including O slobode a spravodlivosti [On Freedom and Justice], Za zrkadlom moderny [Behind the Mirror of the Modern] and Antológia filozofie mysle [Anthology of the Philosophy of Thought]. His most recent publication was a collection of essays, Spor bez konca. O liberalizme, náboženstve a hodnotách [An Endless Dispute. On Liberalism, Religion and Values], co-authored with Samuel Abrahám and Martin Kanovský.